Today, every business is in need of admirable strategies and marketing techniques to promote the brand and also to maintain a healthy relationship with customers. For this to happen, effective communication is the key. 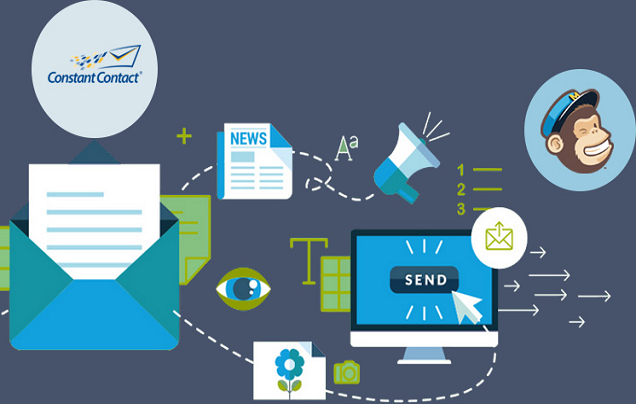 A highly customized email template is what you’d require to carry out this objective and consecutively run a fruitful marketing campaign. Designing the template from scratch with the help of Photoshop and then converting this file to an actual email template is the standard way to achieve visually attractive emails. Interaction and the template’s functionality is instrumental in the success of your marketing campaign. PSD files basically are the outer framework of the Internet site and only help it with the appearance of the site. These photoshop-designed files do not grant functionality and interactive features to the site. The PSD to email conversion helps in attaining both the looks and the functionality of the site, converting PSD designs into immensely animated HTML emails and newsletters. With the help of this method, you can send artistic emails to your customers to catch their eye. This conversion procedure helps you to integrate dynamic elements within the body of the mail, including payment links, direct survey forms, sponsorship, forwarding requests, etc. This promotes the status of your company due to the adopted automation, eradicating the need of manual effort. One of the best things you’d avail through this conversion is you can tweak message how you want to promote your brand. Indubitably, this will lure your clients into recognizing your brand at once, allowing you to effectively deliver your message to the clients. Using gorgeous colors, graphics, animations and images can make your business email message leave a good impact on your potential customers. The favors you get from this template is infinite. Compatibility is not an issue here as you are allowed to change your template, if that’s the case, to make it easier to load on Gmail, Thunderbird and Hotmail. Hence, the exposure has no limit in the world of Internet. You can convert all sorts of files and images you want in your email this way. Why settle for monotonous plain text emails when elegant and alluring HTML emails do justice to the readers’ attention. For a customer, the most annoying words that appear on any user’s mails is “Dear customer”. It is indirectly an insult to the customers which pronounces “Hey, we don’t know your name and we don’t care. We are only bound to provide you with specific information and we are in bed with other clients we need to take care of.” Now consider this, email conversion methods turn this world around. Where the “Dear Customer” spoiled the game, every recipient of your email would receive a neat “Dear Allen” or “Dear Brian” with his/her name clearly given its rightful importance. Thus, the interactive elements are guaranteed through the PSD to Email conversion. Reading your emails is not the only priority of the customers but they would also be interested in answering these features of your website. Converting PSD to HTML email templates helps in reflecting the company’s creativity and how much importance they give to their clients. Also, PSD to responsive Email template conversion services providers employ instant buttons allowing instant access to the HTML email elements, boosting the sales of your association.